The image here is created by cutting the paper rather than drawing on it. 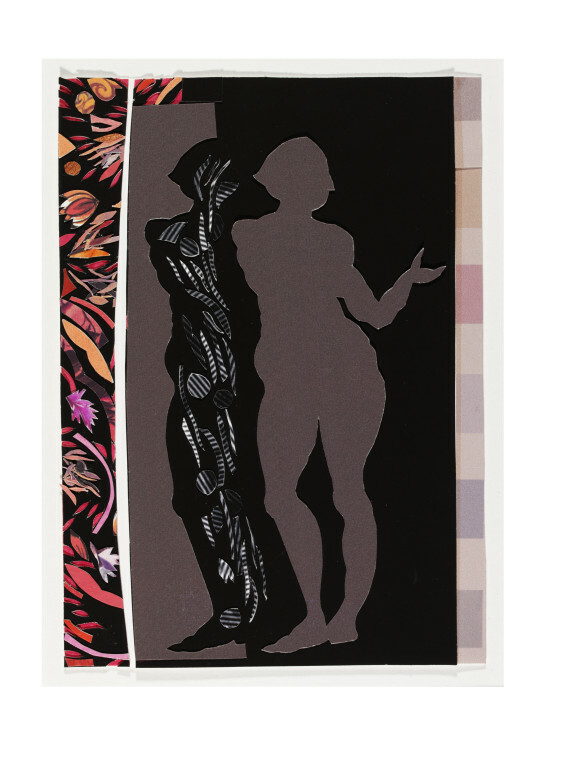 Painter and printmaker Charlotte Hodes has described how 'the cut line of the scalpel blade is an equivalent to the line of the pencil.' 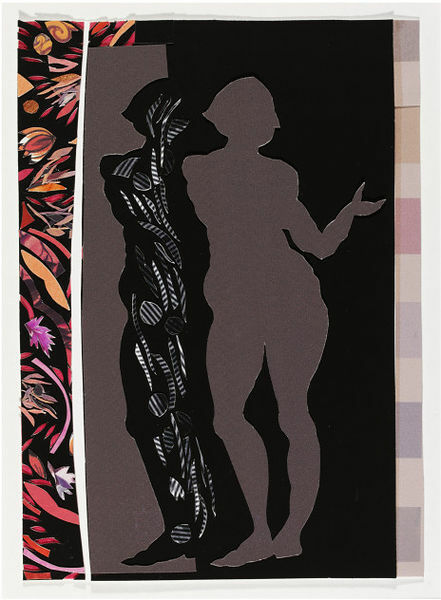 The technique has the advantage of creating two images, a positive and negative; it also produces texture, effectively making a low-relief sculpture. 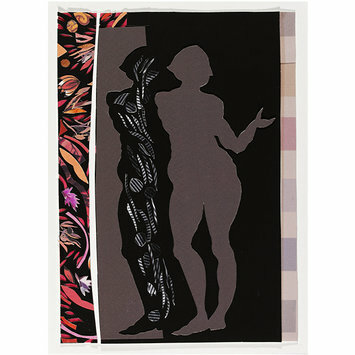 Cut-paper silhouette of standing female figure with one arm outstretched, brown against black background. To the left, also against black background, is part of the sheet from which the figure was cut, forming a reverse image. There is a colourful decorative collage in a strip down the left side of the sheet, and a geometric design in a strip down the right side.